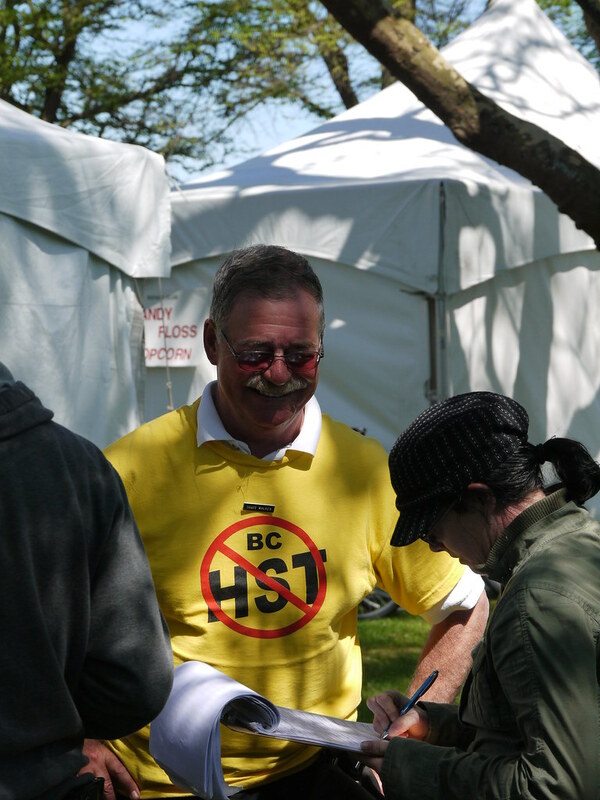 The Fight HST movement engaged much of the electorate, who were furious that the BC Liberals campaigned against the tax in April 2009 only to go-ahead with it a week after the election. The Liberals first claimed that the people just didn’t see the benefits. But the more Gordon Campbell and Colin Hansen talked, the more clear it became that their lie was deliberate, and that the the HST shifted burden from large corporations to working people. The campaign against the tax began with over 1500 volunteers collecting signatures in April of 2010. Volunteers waived signs, canvassed, and collected signatures for five months to meet the strict BC Elections requirements for petitions. In total, more than 700,000 voters signed the petition. The moment will go down in the books as the first successful attempt at forcing a referendum in B.C. history. For their part, the BC Liberals worked with their friends at the BC Chamber of Commerce and large extractive corporations to unsuccessfully challenge the Fight HST referendum in court. Hoping to wait out the crisis, the Liberals announced that the forced referendum wouldn’t be held until fall 2011. But polls showed that people didn’t forget the betrayal, with Campbell’s approval rating falling below 10% by the time he was forced to resign Nov 3rd 2010.